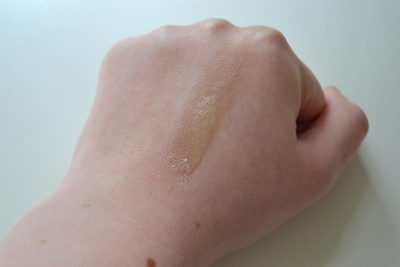 Helen Rambles On: Dr Jart Water Fuse BB Cream - Reviewed! It is safe to say i'm a big fan of the Dr Jart Regenerating BB Cream so when Boots had a 1/3 off of their BB Creams I took advantaged and pick up the much raved about Water Fuse version. The product comes in an aqua coloured tube which is easy to dispense product out of. The BB Cream comes with an SPF 25 and is an oil free formulation which claims to hide any uneven skintone and blemishes. The first thing I will say about this is that it is darker than the Regenerating version so if you are very pale I would avoid this one. However with some blending this gives a nice sun kissed look to the skin. It looks very natural and feels light almost like a moisturiser. The coverage is light to medium but can definitely be built up. As you blend the product you can see the product go white in places but when fully blended this goes away, I think this is because it is water based. The best thing about this BB Cream is when it is well blended and buffed in it can look just like skin, it doesn't cover all blemishes but with a touch of conceal on top you can get a vert flawless light base. The wear time is pretty good, I do get a little oily at the end of the day but the wear is very even and doesn't go patchy. If you are looking for more coverage and have very fair skin I would go for the Regenerating version but for a flawless natural light base I would definitely give the Water Fuse version a try. Dr Jart Water Fuse BB Cream retails for £16.00 but is currently 1/3 off in Boots. Have you tried this BB Cream? Which Dr Jart BB Cream is your favourite? I really want to try this. Everyone raves about it! Perfect for days when you dont want to be too made up!